Kanazawa is one of the place often overlooked by the usual tourists to Japan but really well worth a visit for its many things to do and attractions to see. One would be pleasantly surprised with the authenticity of this city of Japan, which does not feel overrun like Tokyo or too dreamy like Kyoto. It is the epitome of what a working city in Japan is like that still preserves its heritage and culture well. 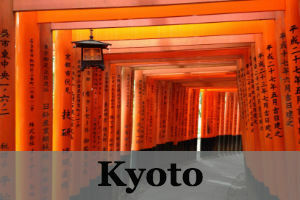 Take some time off your usual tourist route of Japan and visit this city! Here are our recommended things to do in Kanazawa plus its best attractions. First thing first, to get acquainted with Kanazawa, you should check out this geisha district, Higashi Chaya. Located along the Asanogawa River, this area is filled with traditional chaya houses (Japanese teahouses), where geisha entertain by performing dances and playing Japanese musical instruments. These beautiful chaya houses with lattices have been designated as Japan’s cultural asset. There are a few of these teahouses that are open to the public for free: Shima and Ochaya Bunka-ken, both as museums, while Kaikaro provides entertainment and feasts in the evening but open to the public in the day. When one is in a city in Japan, you inevitably need to visit one of its remarkable park. This park in Kanazawa, name Kenroku-en Park, is one of my favourites in Japan, and I have been to a lot of parks to give credit! It is a typical garden from the Edo period, developed by Lord Narinaga through creation of winding streams from the water of Tatsumi Waterway. Beautiful and interesting bridges are build over them making a stroll in the park here fun. The pine trees lined up here are especially beautiful in winter and there are also cherry blossom trees dotted around. The tea house inside also looked very inviting, where one can enjoy tea over the lake. This district consists of small streets, rivers and dainty bridges. Stroll along the stone-paved alleys and water canals surrounded by mud-walled streets, one would feel as if being transported back into the Samurai era. One of the main attraction here in Nagamachi is the samurai houses that survived the ages and one of the most popular ones is the Nomura Family Samurai Residence. It is located in the middle of the district’s main street. The garden inside is also touted one of the best in Japan. Besides being famous for its gardens, Japan is also famed for its fresh markets. This market in Kanazawa turns out to also to be my favourite of the lot, maybe because it lacks the tourist and made up with lots of locals. Established in 1721, this local food market has been serving the city for nearly 300 years. The fresh seafood selections here are amazing, one should really try a fresh raw oyster here straight up at the stall, you’ll see many locals devouring them! Also, don’t miss out your chance to eat really good, fresh and affordable sushi in Japan here in Kanazawa market. Find one of the local sushi stalls among the various eateries, line up with the crowd and get ready to feast on Japanese sushi. If you are a foodie fan, you can also try out this foodie walk guide in Kanazawa. This Kanazawa bus loop is useful as a means of transport itself to go around in Kanazawa, but why not just take it for the fun of a sightseeing tour around the city after a long day of doing many things. We bought a one day ticket (price 500 yen as of 2017) and hopped in, let the bus drive us around, sightseeing as we go and hop off whenever we see something that intrigues us or when we needed a break. At night, there is also an option of the light up bus, if you prefer to see the city lighted up at night. Although not as famous as Himeji Castle or Osaka castle, Kanazawa Castle holds a class of its own. This white foreboding fortress is built by Lord Maeda in 1583. Some parts are rebuilt after a number of fires but restored based as per original. It is free admission to the castle ground, with some fees for the turrets visit. Although still within the Kanazawa castle park, this garden deserves a mention as an attraction itself. This chisen-kaiyu style garden was built in 1634 as Maeda’s private garden and was fully reconstructed in 2013. The garden as usual traditional Japanese gardens features a large pond in the center with paths surrounding for strolls and enjoyment. I can’t mention how many times I took a long break and meditate in a Japanese garden, and this is definitely one of them. Not something you would expect from the old city of Kanazawa, this modern 21st Century Musem of Contemporary Art stands out. It exhibits the works of prominent contemporary artists from both Japan and around the world and famous for its immersive style. The building was designed by internationally acclaimed architects, featuring a unique circular building that houses various exhibition rooms, and well worth even if just from around the outside free zones. Once you got in, you’ll see a “swimming pool” where if you peer in, you’re looking into a room below, with people walking around! The name of this temple is actually Myoryuji Temple but it is commonly known as the Ninja temple by many. This is because it was built with many deceptive designs to guard against intruders and attacks. Although it looked like just a 2 storey building from the outside, it is a 4 storey building with a complicated inner structure. This temple is a delight to explore and unique to the rest of the temples in Japan, with hidden staircases, secret rooms and escape routes. Although the tour is not conducted in English, brochures are provided to read as you go along to discover its many secrets. This is a must do if you have extra days in Kanazawa. With just 1 hour 15 mins from Kanazawa Ekimae bus stop, this scenic Shirakawago village is bound to entrance. It is also a UNESCO World Heritage sites with well-preserved traditional old towns. You will find yourself going back in time and see how the people used to live. What’s surprising is that it is still a working village to this day, and they tolerate the tourists because they understand its fascination. So please note and be respectful as you go around visiting the area. After this, you may also not return to Kanazawa but head onwards to Takayama, another interesting city to discover. As you can see one does not have to wonder what to do in Kanazawa, although it is relatively unknown in the tourist world. This place may be a little off the beaten track, it is well worth the detour to this part of Japan. It takes only 3 hours from Kyoto to Kanazawa and 3.5 hours from Tokyo with the convenient Japanese trains.